The goal behind this 14 tutorial was to create the most comprehensive resource on everything it takes to create compelling wedding images as well as the tools needed to start and run a successful wedding photography business. No matter if you are brand new to photography or if you are already shooting weddings professionally, this 14 hour tutorial will teach you everything we know about wedding photography so you can either start your own business from scratch or take your existing business to the next level. 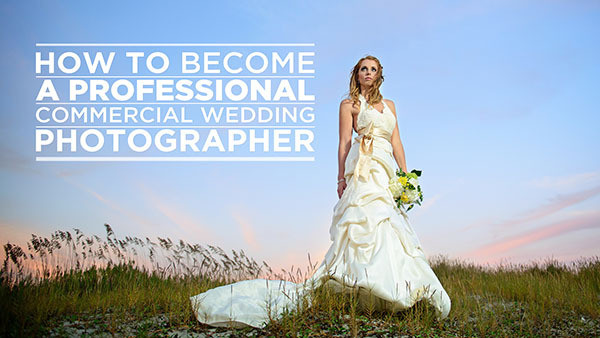 Whether you want to know how to become a professional commercial photographer or how to become a professional photographer in general, the quickest way to start making money with your camera may be wedding photography. Our Fstoppers tutorial How To Become a Professional Commercial Wedding Photographer is finally here! Lee Morris and I have spent over 3 years planning and 2 years filming and editing this tutorial on all things wedding photography. The goal behind this 14 tutorial was to create the most comprehensive resource on everything it takes to create compelling wedding images as well as the tools needed to start and run a successful wedding photography business. No matter if you are brand new to photography or if you are already shooting weddings professionally, this 14 hour tutorial will teach you everything we know about wedding photography so you can either start your own business from scratch or take your existing business to the next level. Please note, for lack of a better term we have called this a "DVD" but for reasons explained in the promo video below, we have decided to make it a digital download. As we explain in the promo video above, wedding photography pretty much fell into both of our laps. I believe many photographers have the same wrongfully biased opinion about wedding photography as I did when I first picked up a camera. The idea of dealing with dramatic bridezillas, going hours without food or drink, and having to take cheesy photographs all day was not my idea of a good day at work. But after shooting a few weddings, I found that wedding photography was incredibly fun, creative, and way more stress free than I ever imagined. In fact, what I realized was I was taking the best photographs the bride and groom had ever had taken of themselves and their friends during the happiest day of their lives. And the reason I was there in the first place was because they loved me as a person and valued my creativity behind a camera. What originally started as a dreaded favor I did for Lee Morris quickly became my passion, obsession, full time job, and eventually my career. The most interesting thing about wedding photography is that there is a market in every single city. I believe wedding photography offers an amazing opportunity for anyone interested in photography as a hobby or career; through wedding photography, you can become 100% self employed as a full time photographer! Our goal with this tutorial isn't to make everyone a millionaire or turn you into some sort of rockstar wedding photographer. Lee and I aren't either of those things. What we want to teach you is how you can take better photographs, start your own business, and hopefully shave off at least three years of trial and error during those initial startup years. Patrick Hall is a Charleston Wedding Photographer based in South Carolina. 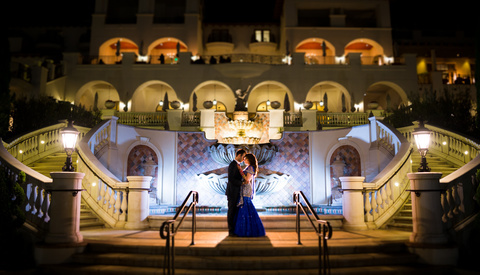 Lee Morris is also a commercial wedding photographer based out of Charleston South Carolina. Pricing - While some may be put off on the price, you just need to remind yourself that this is a 14hr production. There is a ton of information in here. While some of it may be introductory to many, it really is a comprehensive package that tries to hit every mark. If anyone was to take a workshop (2 days at 8hrs per day) they would easily pay more than this. Content - Again, I've watch some things out of order so I may be missing key parts. I am quite pleased so far with what I've seen. Personal favourites are the breakdown in advertising (via facebook, google adwords, and places), the use of off-camera flash in daylight situations (really shows how much even a speedlight with a softbox can go a long way in the sun), and Lee's photobooth setup. I've just started to watch the interview with Pye from SLR Lounge and I'm curious to see what he covers in book design. For cons on the video - there is a lot of talking head segments. I know the F Stoppers team is famous for their talking head spots, but I think some locations would have added to the presentation. While I did learn from the segments, I would have like to have seen more real world examples of unique scenarios and situations (mind you I may have yet to watch them). So far I'm quite pleased and look forward to watching the rest. I personally started up my Photography Business on the side of my full-time job Dec 2011, and have since then managed to build something fairly self-sustaining on a small scale. However, after watching this DVD I realised that if I had this DVD last year, it would've definitely given me a headstart on things. When I needed a website design, I spent hours of research on the 'best way' to do it, and found my way. This DVD provides quick and easy solutions which would have saved me hours/days/weeks of time to overcome obstacles like a Website. This is simply just one example to name, there are many! Both Patrick and Lee speak with incredible passion about what they do, and they keep everything simple to not over complicate any task and offer you suggestions and advice to really boost your income and exposure. As a UK based Photographer, admittedly I did skip completely over the Tax section as the US Tax laws do not apply here in the UK, however there is tonnes of information within this DVD which is 100% applicable. I honestly, hand on my heart, cannot express how fantastic the information in this DVD is.This DVD, in my honest opinion, could be titled "How to Become a Photographer", because as far as I'm concerned, nearly all the information could be utilised for any aspect of Photography. I really enjoyed watching this DVD. Now I'm watching it for a second time. I highly recommend it to every photographer. I've learned a lot and I can't wait to experiment all those things. After watching the DVD I have come to the conclusion I have to invest in some new material. But I know for sure that I will save time and money in the future. I'm sure it will bring my work to a higher level. I just finished watching the complete dvd and i'm very confident to say that this is the best $300 i've ever spend. Seriously: this dvd set is pure gold! Everyting i wanted to know is in there, i feel no need to look for more information anywhere else. Lee Morris and Patrick Hall are great teachers and look like fun guys to hang out with. The interview with Cliff Mautner and Pye from SLR Lounge was also very interesting to watch. Just great GREAT stuff! I can also highly recommend purchasing the SLR Lounge Lightroom Workshop DVD. These two dvd's combined together will rock your world! I have about 10 weddings under my belt in the past couple of years, and I wish I had the chance to watch this before I did any of them. The series is incredibly comprehensive. I've watched a some of the videos a second time just to make sure that I didn't miss anything in my notes the first time. This is an absolute must for anyone aspiring to be a professional photographer, or even to develop a better grasp of the technology and techniques of creating amazing images. Thank you Lee, Patrick, and everyone who contributed to the videos. Awesome, I mean really awesome. I planned on taking a week or so to get through all the chapters. I burned through them in 4 days. It's like a great book that you can't put down. The content didn't feel like a lame class. It felt like you were hanging out with Lee and Pat in the garage and they were passing on all of their secrets to success. I'm especially happy about how they included 2 other photographers to show different perspectives and ideas. I can now take all this info, tweek it to suit my style, and keep pressing forward with my vision and plans. Thanks guys. This is one of the best and most comprehensive tutorials on the market. I cannot say enough good things about it! 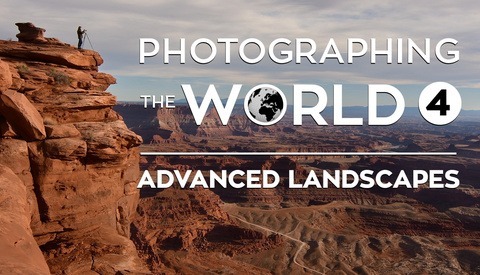 I truly admire Patrick and Lee's commitment to helping other photographers and providing such a great resource. If you're at all hesitant to buy it because of the price, don't hesitate any longer! It was worth every penny. If anything, it's under-priced! This was truly a great resource for me as I have been considering starting up my own business. I feel so much more confident and prepared because of their candid overview of the business and the skills needed to succeed. Patrick and Lee, thanks for your hard work and dedication. I'm allready a comercial wedding photographer (dooing a lot of studio stuff too not only weddings). I worried a little bit if the DVD is valuable for me, but with the refund policy there was nothing to loose and so I purchased. After watching the whole video meanwhile I like to comment here, that the DVD is the money worth in my opinion and it is realy a great made tutorial. It was not completely ground braking for me, because I have allready my way to do it. But it was benefitial to see how others are working and there was enough in it to learn from and to adapt it to my business. Until now I don't do any advertising for my wedding photography, it is all "worth of mouth advertising" yet, but the dvd inspired me to get advertising started, what I did meanwhile. I'm shure it will bring me more weddings, and I like this job very much. Loved the DVD, watched it 3 times now. This weekend I will be assisting on my 3rd wedding. Although I have been full time "pro" photographer for 10 years now, I have not been very interested in shooting weddings at all. In fact I hated the very idea of it. But recently decided I would give it a try for a while, bought this DVD (after following FStoppers for the last year or so). 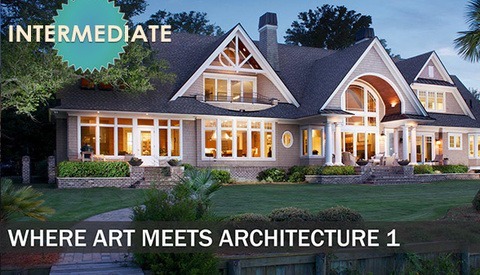 Love the simple, and fast paced training, packed with valuable info. It never gets boring, even watching it the 3rd time. I can't believe its 14 hours long, time flies when I sit down to watch this. The landing clients section, and dealing with clients has also given me a new outlook on how I deal with clients in my other business, with great results. Well rounded DVD, with great pointers for those starting out, and not too much focus on just the gear (there is more than enough out there about gear). IMHO the DVD focuses more on the approach and attitudes towards the business of "Commercial Wedding Photography" , as well as dealing with people throughout the day. For me the DVD was expensive at first, but now that I know the value inside the box, I would easily spend the money again. Tks Lee and Patrick ! Thanks guys. Ive been through the vids once and will likely watch them all at least once more. The painstaking detail is the most valuable. The business section was great...marginally tedious, but essential. The one stand out challenge was Cliff's interview...it seemed a bit strained. I've seen his Kelby instruction, and LOVE his methodology, but the tone of his session felt like he would have rather have been anywhere else....not sure why. Felt like there was a (lack of ) reationship issue there. All in, this was a great series. It also turned me on to Pye Jirsa and SLR Lounge's material. I had a passing familiarity with them but with his schtick I went all in...their LR preset system and workflow rules. Period. I bought the wedding DVD based on my experience with the Peter Hurley vids and the comprehensiveness of the fstoppers blog. nice effort guys. Thanks again. I must say that it is by far the best tutorial video I saw on photography. It is well structured, very informative (I already put some of your recommendations in practice ) and interesting to watch. So, my hat’s off to both of you and the team behind. $300 put me off initially; I could probably have found all the relevant information on-line had I looked around on YouTube. But there was something about the passion exuded in the promo that I couldn't shake. So I spent the cash. Lee and Patrick have a love for what they do that shines through and makes learning from them easy. They make things like off camera flash, shooting angles, dealing with clients and advertising seem so straightforward that I have literally been able to go out and improve my all-round game the next day. But more than that, these videos have been made with a generosity and honesty that I found captivating. Despite the passion shown for the Lee and Patrick way of doing things, Lee is confronted with two completely different artistic and business methods in two outstanding interviews. In particular, the interview with Cliff Mautner was sensational - Lee clearly wanted to know how this guy could be so successful with a model so different to his own. I will watch those two hours again - just good stuff. (The interview with Pye Jirsa was also excellent - I was convinced to shell out another $180 for SLR Lounge Lightroom tutorials). I have been shooting weddings in Tokyo (Japan) for about 18 months (https://www.facebook.com/stephenlodziakphotography) but I think I am going to regard my career as being pre/post watching this DVD. I wish I had watched it 18 months ago. To finish, I started advertising on Facebook on Monday (using the strategy taught by Patrick). As of today (Wednesday) I have had over 100 clicks and one potential client - all for about $30. That kind of advice is priceless. who is a photographer here ? I, having been a professional wedding photographer for quite a while, was on the fence about this investment. I say Investment instead of purchase, because that's exactly what it is. While much of the information is "Introductory" in nature, its all information that should be heard. I have to be honest and say a good portion of what i heard/learned was things i already knew and put into practice, but being a photographer who never acted as someones 2nd shooter, and never took any other training in becoming a photographer in the wedding industry, it was amazing to have what i "knew was the right way", confirmed by others. Assuring me that its not JUST working for me in a "getting by" way, that im actually getting ahead. And of course there was a lot of information that i learned that i didnt know, or hadnt even considered. Some was a "hmm let me test that out" and some info was along the "oh my, how could i have not thought of that...that makes total sense". So to anyone looking to get into the world of wedding photography, or for those who may already be in the profession, but would love to learn more and boost their business, i recommend this DVD . 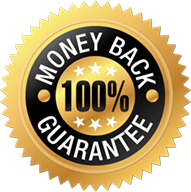 And honestly, with a money back promise, how can you go wrong? watched 3 hours tonight, and so far these are GREAT! The videos are really helpful, have a good feel to them where it doesn't seem like your standard instructional video. It almost feels as if you were with them there in person as they explain things. Also love getting the opinions of other photographers in the interviews. Can't wait to watch the rest. The 3 hours I watched went quick! I want one copy as well but I am from Asia Nepal so what else can be done ? This is a digital download so you can download it worldwide and have it within 24 hours. It's a learner friendly tool packed with so much information for those who want to improve not just wedding but also portrait photography and all other stuff you can think of in making your photos a lot better and market them to a certain degree that would allow you to give up your day time desk job. After I watched the entire DVD, I could not imagine that with so much tips and tricks, $300 is pretty cheap for a masterpiece like this. I just want to say thanks to Lee Morris and Patrick Hall!! This DVD totally change the way I see weddings! In the last year wedding photography makes me travel around mexico!! I just fell like the fstoppers its like my family!! Thank you very much Lee and Patrick I just dont have words to say how this DVD change my life and my photography. Personally I like Lee's voice. I think he is great. Can someone help please. I've emailed you twice as I purchased this and was unable to download the first chapter. Can you send me a new link or give me a refund as I do not have the full product. Thanks. I'll forward this to Lee and Patrick for you. Sorry for the inconvenience. Thanks for your help. Just cannot wait to sink my teeth into this as what I've seen so far is fantastic. Sorry for the late response the other day, our entire office got snowed in with little internet service. Was everything taken care of? No problem. Yes, Lauren has sorted me out. Finished watching it all yesterday. It was awesome. Great work on the DVD. I contacted them for you. The office is closed on the weekends, but they said they'd get it taken care of for you ASAP. Great job on this guys. I have been looking online to try and find anything like this and so far, your DVD is the only one that comes remotely close. It's rare to see this open and honest approach as I tend to find that a lot of photographers are very precious about their work and their methods in running their own business. Lee, I saw how difficult that was for you to part with your photo booth know-how but I think people who buy this will respect what you have done on here and will not steal your ideas. 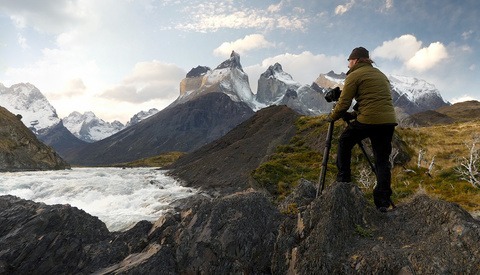 Personally, if I ever get as successful as the pair of you, I will definitely share with the world what I have learnt, and will most definitely be plugging the hell out of Fstoppers, and this video, for getting me there. I hope you haven't retired if/when that success happens to me. Just saw the preview video and it really looks interesting. Damn ...$300 is a lot of money of course, but I think I will purchase it. I see the latest comment on this article is like 8 months ago so my question is: Is this video still available? And it is one file or a file for every chapter? It is still available. The tutorial is split into 7 files with multiple chapters in each file. $300 invested into something that doesn't have glass on the front is a hard spot of cash to part with for a startup studio like the one I work for. It's easy to overlook investing in education in preference to investing in equipment, but there is REAL value in education like the kind found in this video tutorial! It could be argued that all the information found in this video can be had online for free. I would counter that, pretty strongly. Having spent hours searching for video and written tutorials about photography in general and wedding photography specifically online, I can tell you that about 75% of the advice I find is either outdated, dumb, too boring and badly produced to watch, or all of the above. How much is your time worth? In fact, it was during one of these searches that I came across the promo content from this tutorial posted on Youtube. The first thing that struck me was how nice the lighting and sound is. So many online tutorials are shot with bad equipment, in bad light, with horrible audio. But with the fstoppers video I was immediately drawn into the content, not repulsed. The instructors (Patrick & Lee) were informative, funny, and easy to listen to. To top it off we learned many useful tricks in watching the free content provided. It hooked us. The photographer I assist felt he wanted more information like that, and purchased the full tutorial. Now on to the information: There's a ton here. First of all, there is a lot of helpful technical camera and lighting information, especially for the more inexperienced photographer. The photographer I work with has quite a bit of event, portrait, and OCF experience, so this information was helpful at reminding him of a few things, and giving tips for speed and efficiency, but 90% of it he already had a good handle on. But using the camera is just the start, and really not what I found most helpful, although very well presented. The information that is harder to find online, and much harder to sort through, is in the business end. Client communication, money management, pricing structure, how to build a website and advertise, and most importantly HOW TO SELL YOURSELF as a photographer--these are all topics covered, and from a wide variety of perspectives. I also enjoyed the interviews that were conducted with photographers doing things differently than Patrick and Lee, although one of those interviewed had a style I found visually appealing, but cold and impersonal (both his photos and his photography business philosophy). Ultimately that was still useful information, because it showed clearly that there is more than one type of client, and so we need more than one type of photographer to fill those needs. For me, as an assistant and kinda/sorta studio manager, I came away with just as much valuable information as the photographer I work for. I got great tips for assisting by watching Lauren assist in the video, and the social media information on the video was very helpful for me as it's my job to construct ads and manage social media content. The person I personally feel will get the most out of this video is somebody with a solid background in photography who has a new interest in pursuing wedding photography. Somebody who doesn't even understand how to use a camera in manual would possibly be overwhelmed by the sheer volume of information. That said, somebody who can't work manual on the camera should possibly consider assisting a photographer and learning the basics before attempting to launch a wedding photography career. :) The information is really valuable to anybody who wants to work in the industry as a photographer or videographer in any capacity. 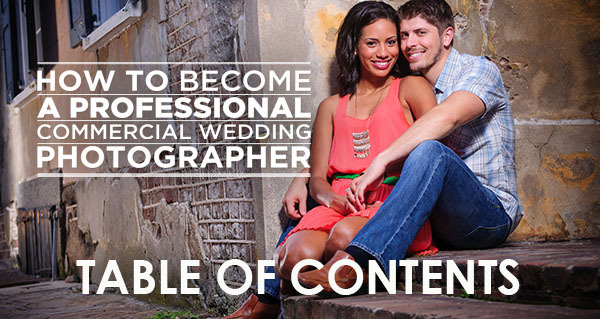 But a $300 investment is going to limit this purchase to mostly those who are seriously pursuing wedding photography. "I have purchased the wedding DVD before and saved it on my hard-drive. However, my hard-drive was broken. As Im trying to re-download the DVD, I realized its link is now expired. Can Fstoppers please help me how I can go about to re-download it again. I responded personally to you on September 17. I checked our spam and our inbox and didn't see anything from you before that time except for the mike Kelley DVD so I apologize if it seemed we were ignoring you - definitely not that case! Can you let me know that you were able to redownload the links? 1. 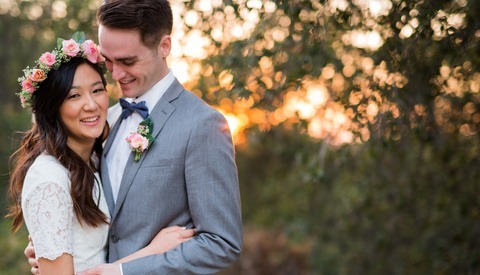 You guys failed to focus on the stance, posture and holding a DSLR appropriately to get effective results, to me that is the most important factor to learn as a new or aspiring wedding photographer. Wedding photography is all about capturing that decisive moment in action and it is imperative to focus on these basics. 2. There are some flaws in your techniques whilst capturing the action, you guys seem to focus and recompose even on moving shots which is obvious from the footage that is recorded for this DVD. Action shots are taken using continuous focus with movement of the focus points to precisely nailing that focus. With single point focus system using for action lets say dance shots, one can get lucky but its not 100%. A detailed tutorial/dicussion with another wedding photographer on focus technique would've been better. 3. You should've involved more photographers in this project specially with someone with a knowledge of off camera lighting and someone with a lot of experience in shooting weddings over the years. Cliff Mautner was a great effort and his saying added something extraordinary to it but more wedding photographers should've been involved. Over all its ok, not sure about the $300 price tag, perhaps you want to release an update for this after getting feedback from various people who have watched this DVD. Hi there. I haven't seen your DVD but I am keen to buy your product. But what I wanted to know if anyone knows of any outlets in New Zealand where they sell the DVD?? Please. Hey Susie, this tutorial is actually not in physical DVD format. It is only a digital download and the only place to buy it is online. Sorry if that was confusing. Hi Patrick thank you for replying back. It may sound confusing but yep I know what you are talking about. UK viewer, only watched 3 sections so far, but this really is great. If you are starting out this really is a good investment of your money and time, i've already picked up so many great tips, and I know I'll be watching this again.. Take notes!!! cheers guys for your effort to this product..
Glad I bought this for half off during the Christmas holiday because it was an awesome deal! It would have been worth the $300 though. Glad I took the step and got this. TONS of great info. Lee, I loooooved your section about on-camera flash. I learned a lot about flashes, modifiers, changing settings quickly and more. This course is good for the novice and experts...some things might have been known before but hearing them in your context makes them new again and applicable to more situations. Great job! Finally registered here, particularly to review this Production. I was skeptic, as photographing weddings is a significantly part-time affair for me, the investment however has been worth it. I had four weddings done prior to me watching this production, and thought that my technique was solid with the exception of flash photography and my reliance on ambient and large static studio lights. I was fortunate to have another opportunity last month to photograph a wedding, and the difference between what I did before and what was taken after watching this production was huge. I looked back at what I had done in the previous weddings and the images I have for my latest, and the difference is amazing. Its not just the changes I made in equipment, or technique, but the way this production gets you thinking about the entire wedding day – particularly in family formals for me. For Lee and Patrick, keep up the great work. For those on the fence if this production is something you need, no matter the style of photography you involve yourself in, there is something to be learned. Perhaps weddings run very differently in the UK, and let me start by saying I appreciate all the work thats gone into this, but to have a wedding DVD with no section on shooting bride and groom portraits on the day? Things like bridal sessions before the wedding and departure shots have their own sections, those things don't really register as important over here, yet this huge part of day isn't included? Thanks for your feedback Kate. I guess our thought was the bride and groom shots shouldn't vary that much from the engagement shots except the actual attire they are wearing. As I just responded to Alek below, my goal is to have people look natural and comfortable and rarely ever "pose" them. I definitely get my lighting and composition locked down and then evaluate their positions to see if anything looks weird but more than anything else it is a skill that takes time and varies from photographer to photographer. All of the poses I did in the engagement section are pretty similar to what I do when they are dressed up for the actual wedding day.